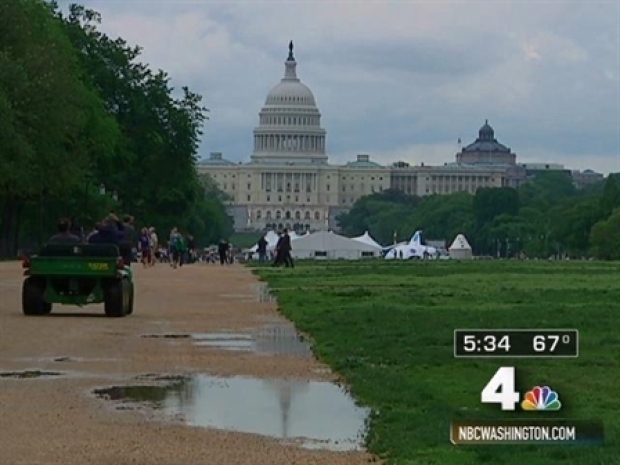 Major repairs are needed on the National Mall ... but you already knew that. Crumbling sidewalks near the Jefferson Memorial are sinking into the Tidal Basin. Reflecting pools are filled with green, smelly water. And millions of visitors have trampled the soil into virtual concrete where grass can't grow. The National Mall is in danger of becoming a national disgrace. "It does not deserve the name 'National Mall,"' said Del. Eleanor Holmes Norton, the city's nonvoting member of Congress. "We ought to call it something else until it looks decent." The Obama Administration recently steered $55 million in economic stimulus money toward repairs, but Interior Secretary Ken Salazar says that's only a down payment on the nearly $400 million needed to fix up a national park that draws more visitors than Yellowstone, the Grand Canyon and Yosemite combined. An Associated Press analysis of congressional spending since 2005 found the mall has been at a disadvantage in competing for extra funds doled out by lawmakers, compared with sites that are represented by powerful members of Congress. The mall is in Washington, D.C., which has no vote in the House or Senate. Last year, when dozens of ducks and ducklings died of avian botulism because the water in a mall pool near the Capitol was so fetid, and as urgent repairs were needed to stop the Jefferson Memorial's sea wall from sinking into the mud, the Senate killed a $3.5 million earmark for the mall. Instead, funding went to projects back home. All told, Congress sent home more than $181 million in earmarks through the park service budget last year -- an election year -- according to data compiled by the group Taxpayers for Common Sense and analyzed by the AP. Nearly half that money was driven by lawmakers who were on the House and Senate appropriations committees. Earmarks are used to boost projects both large and small. In 2008, there was $20 million for dam removal at Olympic National Park in Washington state with help from Rep. Norm Dicks, D-Wash., who oversees park service funding; Sen. Robert Byrd, chairman of the Senate Appropriations Committee, sent more than $3.3 million home to West Virginia, including $123,000 to restore a Mother's Day Shrine. Lawmakers sent millions more home to restore county courthouses and local historical sites that aren't even part of the national parks. Government watchdogs say earmarks corrupt the budget process. "We're making spending decisions on the basis of political muscle, rather than project merit," said Stephen Ellis, vice president of Taxpayers for Common Sense. "Because the mall is owned by nobody, even though it is this gem for many Americans, it gets short shrift," he said. The mall didn't just lose out on earmarks. In January, Congress deleted $200 million in stimulus funding for the mall. And last year, a bill that would have appropriated $100 million for mall repairs failed. Republican Rep. Jeb Hensarling of Texas said mall funding wasn't an emergency. "It's entirely appropriate for Congress to fund repairs for the National Mall in the traditional process, but the American people are smart enough to know that it will do very little or absolutely nothing to provide economic stimulus," he said. House Republican whip Eric Cantor of Virginia similarly derided efforts to "help upkeep the grass on the lawns of Washington." Yet Congress invests in sod and flower beds on its own grounds at the Capitol, which are kept carefully manicured, even as the mall -- which runs 2 miles from the Capitol to the Lincoln Memorial -- has languished. 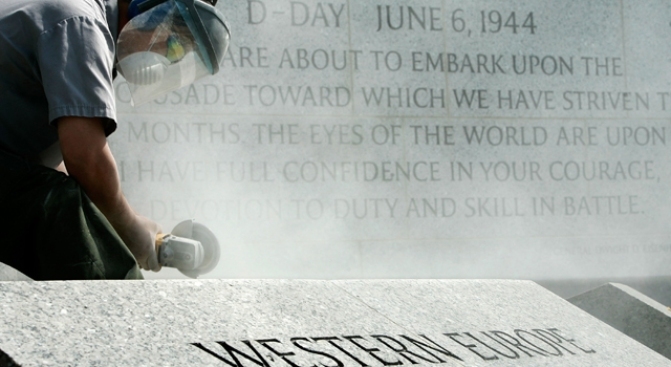 Congress employs about 1,900 workers to maintain its buildings and 450 acres, while the National Park Service has about 200 maintenance workers for the 650-acre mall and memorials. The mall isn't the only national park struggling to get enough funding. Park Service Comptroller Bruce Sheaffer told the AP that the system's total deferred maintenance backlog is a staggering $9 billion -- a number that has doubled over the past decade. "It's difficult to deal with the size of the backlog we're talking about with the funding we've had," Sheaffer said. The mall must compete for funding with a network of nearly 400 national parks, parkways and recreational sites. The mall received $31 million, or about 1 percent, of the park service's $2.75 billion budget in 2008. National Park Service spokesman Jeffrey Olson says Yellowstone received $33.5 million in fiscal year 2008, the largest budget of any national park that year. At 2.2 million acres, Yellowstone is more than 3,000 times bigger than the mall. But the mall gets about eight times as many visitors. Thousands of events, including festivals, protests and the Independence Day fireworks, play out on the mall. In January, the park service estimated 1.8 million people crammed into the area to witness the presidential inauguration. Altogether, about 25 million visits are counted on the mall each year. Dicks, the chairman of a House appropriations subcommittee that oversees parks service funding, downplayed the importance of earmarks. He blamed the Bush administration for not providing enough funding for the park service. Lawmakers have come to realize there is a serious problem, and that there is a commitment to fix the mall, he said. "If it's America's front yard," he said, referring to the mall's nickname, "and everybody in the world wants to come here, we ought to put our best foot forward." The AP's examination of earmark data was limited to recent years because Congress only began clearly disclosing earmark recipients and sponsors in the 2008 budget. Still, Sheaffer, the park service comptroller, said he doesn't recall any congressional add-ons for the mall in his 37 years with the agency. 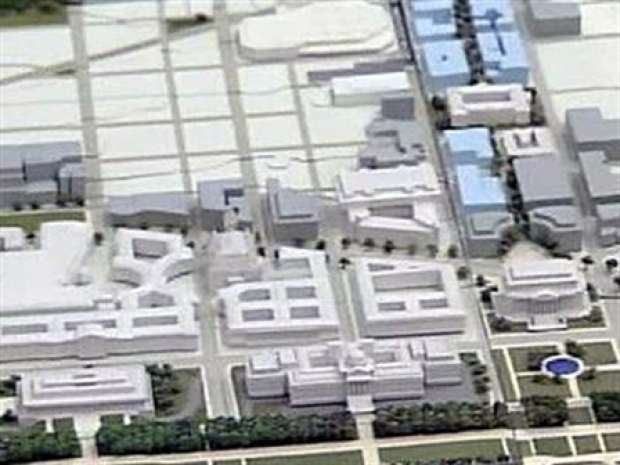 A public-private partnership might be what saves the mall. The nonprofit Trust for the National Mall, founded in 2007, aims to raise $500 million in about five years by targeting all Americans -- from corporations to students visiting Washington. So far, the group has taken small steps, such as securing private funds from Coca-Cola to launch the mall's first recycling program. It could take 15 years to complete larger improvements, such as reengineering reflecting pools to circulate water, laying new walkways to preserve grass and installing a sprinkler system to keep the mall green, said Caroline Cunningham, the trust's president. "It's resonating in communities around the country," Cunningham said, "and that's when members (of Congress) start paying attention." Many tourists say they are able to look past the mall's flaws and that the powerful marble memorials and sweeping vistas continue to inspire. But a closer look shows it's in shoddy shape. The iconic reflecting pool at the Lincoln Memorial is surrounded by dirt, the grass worn away by visitors, and the water is stagnant. At nearby Constitution Gardens, some granite walls surrounding a lake are collapsing into the water, and walkways are badly cracked and uneven, with craters full of mud. Bathrooms are hard to come by, and those that exist tend to be filthy. David Annenberg, of New York City, visited Washington this month with his wife and said the grass bothered him most. "I noticed it was brown, we saw dirt where grass was supposed to be," he said, adding that it wasn't the image that should greet visitors to America's capital. "This is our place to show off what we do best."